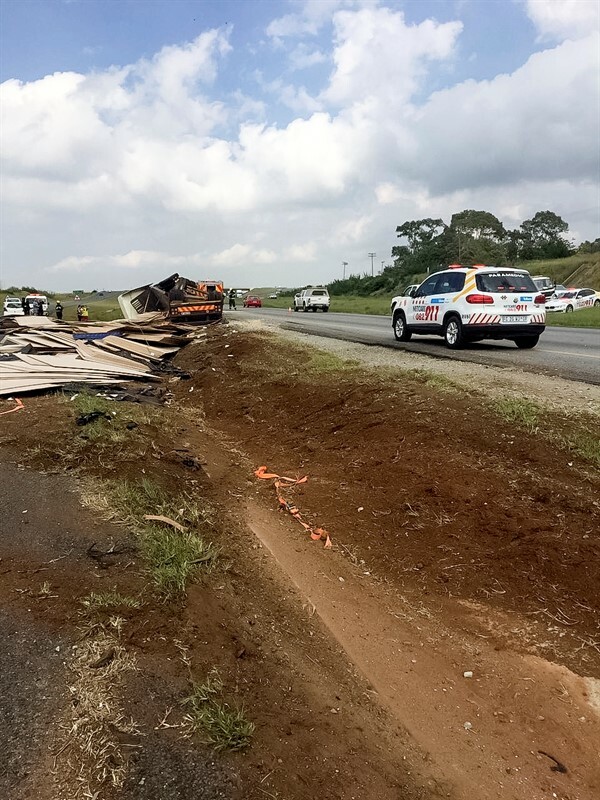 MEYERTON: Netcare 911 reported that at 09:16 this morning 7 March paramedics responded to a collision on the R59 in Meyerton, Gauteng. 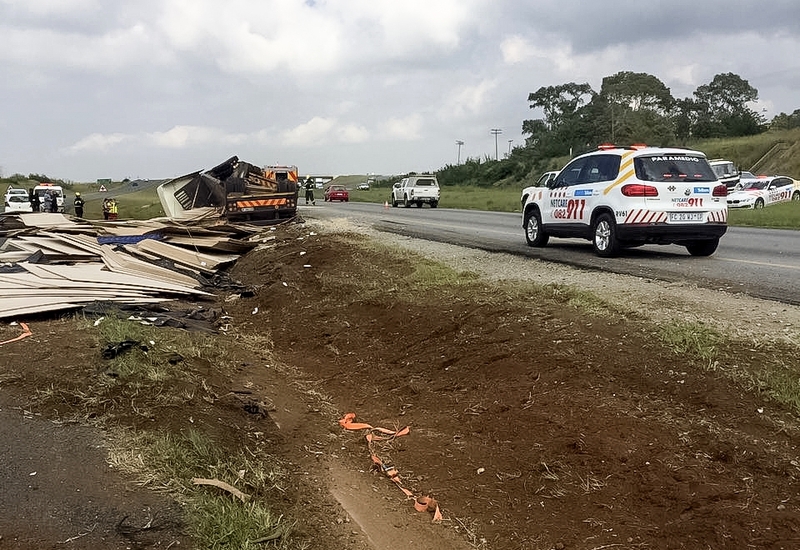 Reports from the scene indicate that a truck had overturned dropping its load on the road verge. Exact detail to the crash and preceding events is still speculative and will form part of the police investigation. Paramedics arrived at the scene and found that the driver miraculously escaped with only minor injuries. After the patient was treated at the scene they transported him to a local hospital for the care that he required.